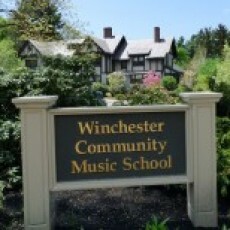 The mission of WCMS is to provide outstanding music education programs for all ages. With 60 professional faculty members and a beautiful 100-year old building, we serve over 800 adults, teens, and children from more than 30 communities north of Boston, including Winchester, Arlington, Lexington, Cambridge, Somerville, Medford, Malden, Melrose, Wakefield, Stoneham, Reading, Woburn, and Burlington. We offer lessons, classes, workshops, and ensemble programs in a wide range of musical styles, from classical to modern.